Here’s how RNA editing works. Genes encode instructions in the form of DNA—in the sequence of four building blocks represented by the letters A, C, G, and T. For those instructions to be used, the DNA must first be transcribed into a similar molecule called RNA, which contains roughly the same building blocks. The RNA is then translated and used to build proteins—the molecular machines that carry out all the important jobs inside our cells. So DNA stores information, RNA carries it, and proteins are the result of it. That’s the simple version. But the RNA often gets altered before it’s used to make proteins. Some of the changes are big—large sections are cut out, and the remaining pieces are glued back together. Other changes are small—sometimes, a single A gets converted into an I (which is functionally equivalent to a G). That’s RNA editing. It’s performed by a group of enzymes called ADARs, which recognize specific sequences of RNA and makes those A-to-I changes. In cephalopods, it’s a different story. Back in 2015, Rosenthal and Eisenberg discovered that RNA editing has gone wild in the longfin inshore squid—a foot-long animal that’s commonly used in neuroscience research. While a typical mammal edits its RNA at just a few hundred sites, the squid was making some 57,000 such edits. These changes weren’t happening in discarded sections of RNA, but in the ones that actually go towards building proteins—the so-called coding regions. They were ten times more common in the squid’s neurons than in its other tissues, and they disproportionately affected proteins involved in its nervous system. Having been surprised by one cephalopod, the team decided to study others. 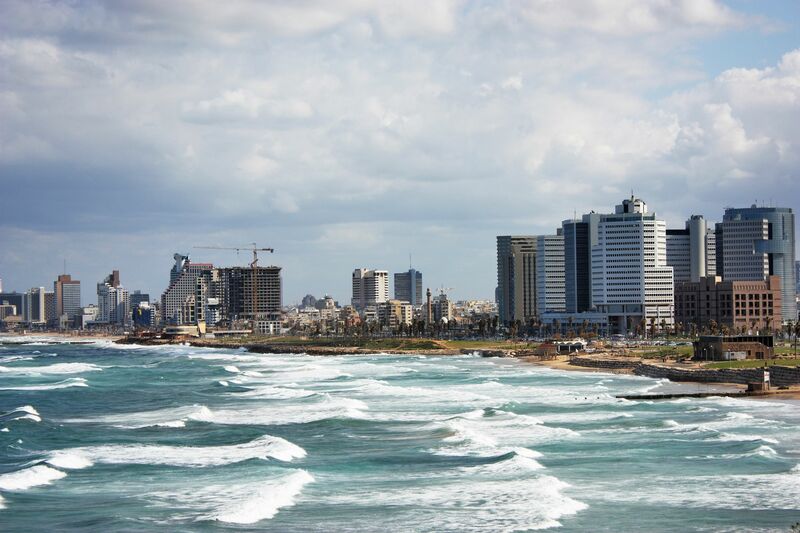 Liscovitch-Brauer focused on the common cuttlefish, common octopus, and two-spot octopus. All of these showed signs of extensive RNA editing with between 80,000 to 130,000 editing sites each. 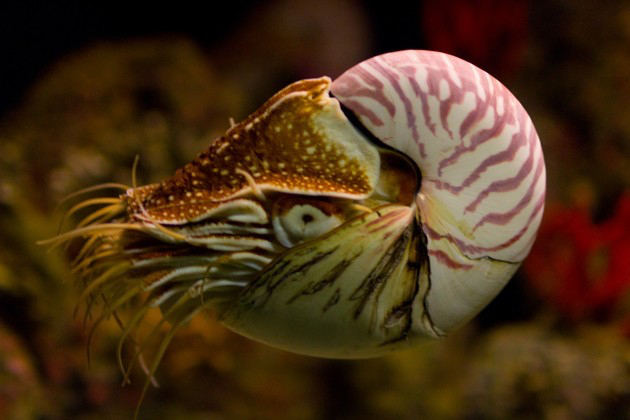 By contrast, the nautilus—a ancient cephalopod known for its hard, spiral shell—only had 1,000 such sites. Liscovitch-Brauer also found that around 1,000 of the edited locations were shared between the coleoid species—far more than the 25 or so sites that are shared between humans are other mammals. These sites have been preserved over hundreds of millions of years of evolution. “That’s pretty convincing evidence that these edits are integrated into the wiring of these genomes, and that disrupting this network of edits would be harmful in some way,” says Daniel Rokhsar from the University of California, Berkeley, who was not involved in the study. 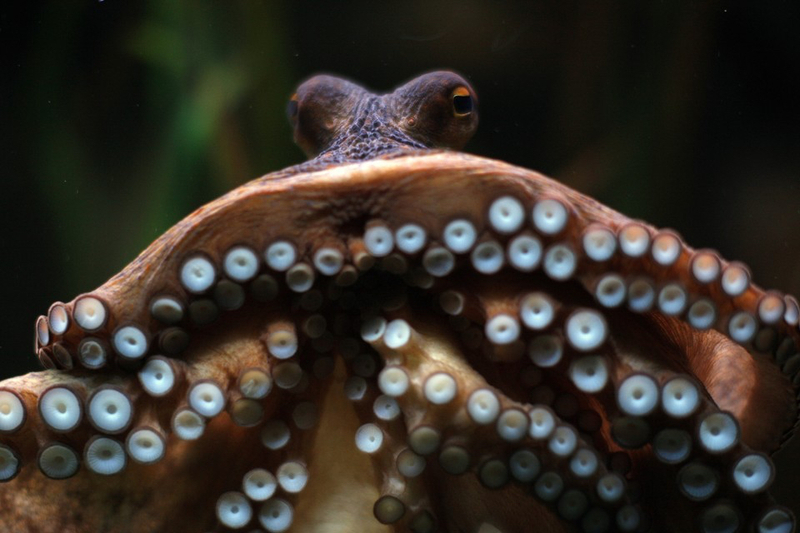 “This study suggests that RNA editing and recoding is important in the function of the largest invertebrate brains,” says Carrie Albertin from the University of Chicago, who helped to sequence the first cephalopod genome. 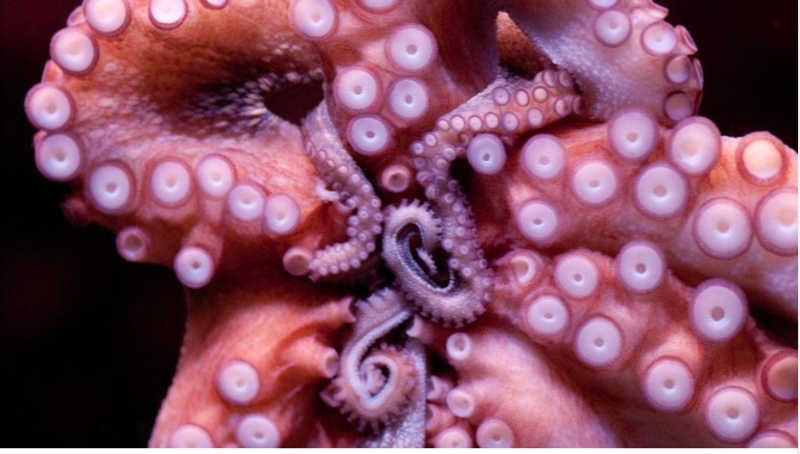 “By comparing vertebrate and cephalopod brains, we can understand how large nervous systems are put together.” “It’s a really interesting phenomenon, but it’s unclear why they need so much RNA editing,” says Jianzhi Zhang from the University of Michigan. “It’s not absolutely clear if it has to do with behavior; humans have very complex brains and behaviors and in us, RNA editing is very rare.” The question isn’t just why coleoid cephalopods are unique in embracing RNA editing, but why nothing else has to the same extent. So far, the team has a lot of correlations—compelling ones, but correlations nonetheless. Rosenthal’s next move is to develop ways of genetically manipulating cephalopods. If he succeeds, he could disable their ADAR enzymes, stop them from editing their RNA, and see what happens.